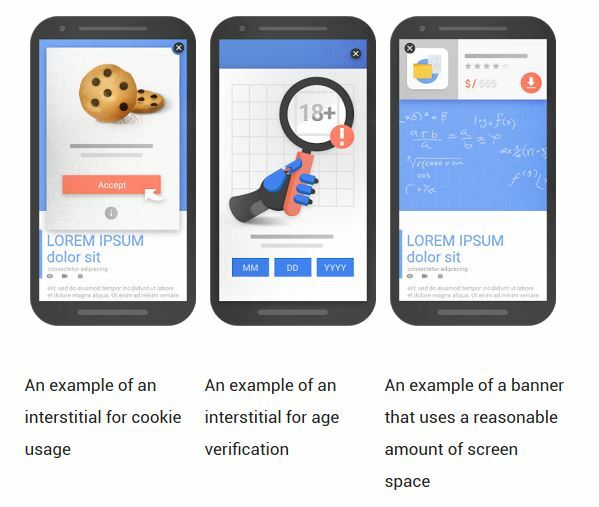 » Google update – Are Popups OK for Mobile? Exciting News – We’ve Moved! 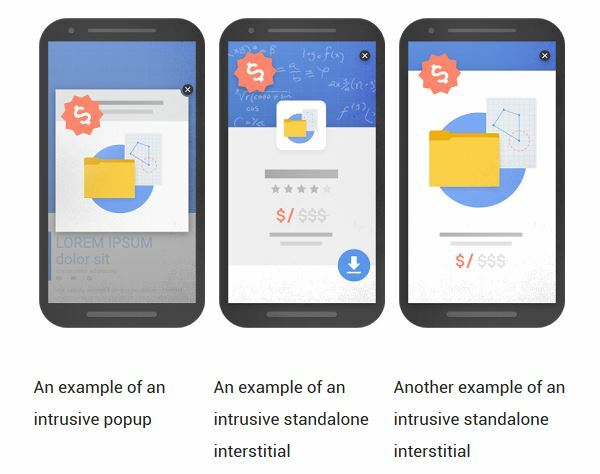 Google update – Are Popups OK for Mobile? This new update had quite a stir in the last week so I decided to clear a few things up for you. I especially want to clear this one up as all the sites we design are focused on conversion and collecting peoples details and one of the best techniques for this is opting in and we often use popups. If you look into the in more detail you will see that Google is trying to stop those annoying popups that are really in your face. The main this is they dont want popups that load with page load and they don’t want the popup to take up the entire screen on your mobile. As long as you don’t do this… all good. Hold your horses people not quite time to panic… Google is constantly optimizing and trying to make the user experience better and mobile is the biggest growth area, so naturally they have a focus on this. So how to do help users access content easily on mobile? People use Google search to find answers to their queries. The search engine then sees to it that queries are answered thoroughly no matter what device users are using. There are new changes to mobile search results which hopes to make it easier for users to find content. Simplified mobile search results – A mobile-friendly label was put in place a few years back with the hope of helping users find pages they don’t need to zoom in order to read. This label also allowed enough spaces between tapping points. At present, 85% of pages are mobile-friendly. Moving forward, this label will be taken out but the mobile-friendliness will stay in place. Mobile-friendly tests will continue so that webmasters can still evaluate their site. Helping users find the content they need – Most of the pages now can be read without zooming ; however, many of these pages are still not user friendly because a lot of obstruction are blocking the necessary content. This is a common complaint among readers. It can really be frustrating if you have to go through several obstacles to get to the content you want. This is especially frustrating in mobile devices where the screen is often small. To address this, January 11, 2017 onwards, pages where the content is not easily accessible will no longer rank high in the search engine. What are these obstructions, by the way? Pop-ups that cover the main content, immediately after the page opens from the search result or while the user is navigating through the page. Displaying a stand-alone ad that the user has to close in order to enter the page wants to open. A layout where the above-the-fold portion appears similar to the stand-alone interstitial with the sought-for content hidden under the fold. Pop-ups that are in response to a legal obligation such as cookie usage or age verification. Log-in dialogs where content is protected from public indexing. Banners that are easy to dismiss and uses a reasonable amount of screen space. This new signal is just one of many signals used in ranking. A page may still rank highly if its content is relevant.